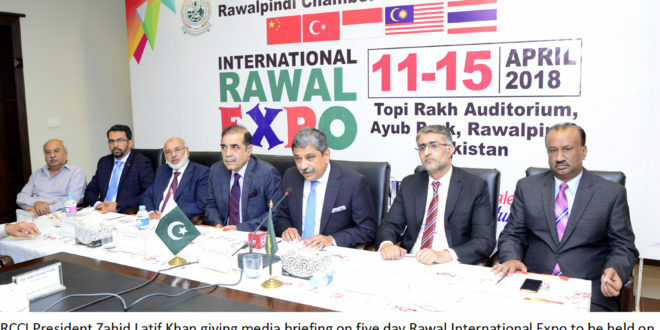 RAWALPINDI, APR 11 (DNA) – The five day International Rawal Expo 2018 being organized by Rawalpindi Chamber of Commerce and Industry (RCCI) has been formally inaugurated here at Ayub Park Rawalpindi, on Wednesday. Federal Minister for Commerce Parviaz Malik and MNA Malik Abrar, were the chief guest on the occasion. 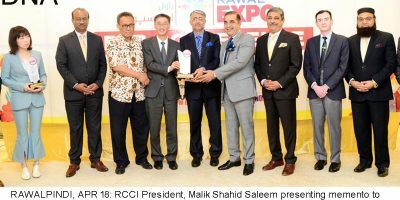 Federal Minister Parviaz Malik appreciated the role of RCCI in promoting business activities in the region and congratulated on successful organizing of Rawal Expo 2018. It is laudable that more than 12 countries are participating in the expo. He said expos play a vital role in boosting business activity. The situation in the country has been improved and trade activities are flourishing. 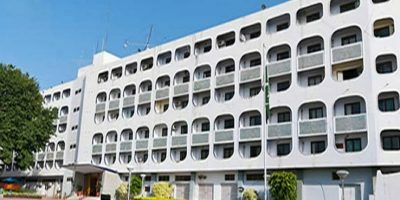 While commenting on the economic condition of the country the minister said that things are moving in the right directions, exports are improving, fiscal deficit has been lowered and ratio of unemployment also decreased. We took measures to stable balance of payments and we are hopeful that exports will be on track soon. Four years back, the country was facing severe shortage of power and recession, industry now has zero load shedding for the last couple of years and Pakistan economy is on the track. Government has set a solid foundation of the economy and after elections Pakistan will be more stable. Later federal minister along with foreign diplomats visited various displays and commended the work of emerging entrepreneurs. Diplomats from Indonesia Tajkistan, Uzbekistan, Azerbaijan, RCCI president Zahid Latif Khan, senior vice president Nasir Mirza, vice president Khalid Farooq Qazi, Group leaders, chairman Rawal expo Malik Shahid Saleem , vice chairman Khurshid Berlas members of the executive committee and a number of industrialists, business professionals and exporters attended the ceremony. stalls were displayed. He called on the government provide a dedicated space for expos, which he said was a requirement for trade and industrial exhibition in the city. Throughout the five day exhibition, industrial products will be displayed and buyers will have the opportunity to book orders on the spot. Industrial products, garments, leather goods and furniture will be showcased, and an auto-show, a puppet show, a food court and a children’s playing area, and a family gala, will also be held as part of the expo. The Expo will be concluded on April 14.